The Andrew Lam Man Chung directed Lunar New Year film A LIFETIME TREASURE (YU JU YU BO) two nights ago held its premiere. Sammo Hung Kam Bo, Tian Niu, Louis Cheung Kai Chung, Richard Ng Yiu Hon and Carl Ng Ka Lung attended. 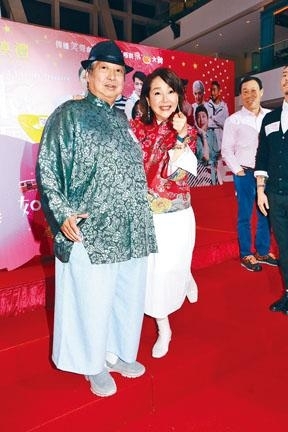 Big Brother Sammo admitted that he was very happy to be able to star with a group of old friends. 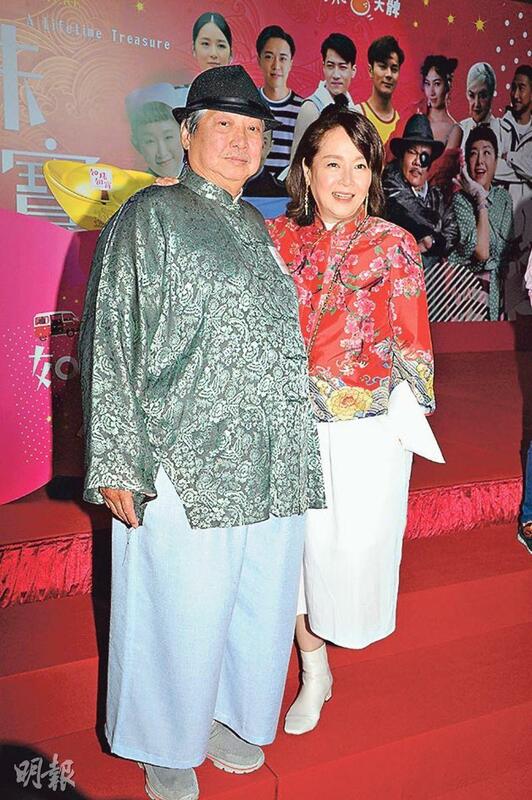 Tian Niu joked that originally she was having a lot of fun, but she was the most upset about Lam Man Chung making her look very fat. During the audience appreciation events the audience was shocked to see how thin she really was, which made her want to retire. Big Brother revealed that during the New Spring holiday he would take his grandchildren on vacation. He said that he wanted Tin Ming (Timmy Hung) to give him a granddaughter. He still had two sons and a daughter and hoped that they would start a family and give him 3 grandchildren each. Big Brother said, "I am traditional and love a big family, but I won't raise them. I would just check in!" Then did he rush his children? Big Brother said, "I don't dare to, as I am afraid that the more I say the slower they get!" Tian Niu said that she would return to Taiwan to hug her "Lifetime Treasure" Mama. Because she has not spent a Lunar New Year in Taiwan in over 20 years, she looked forward to it very much. 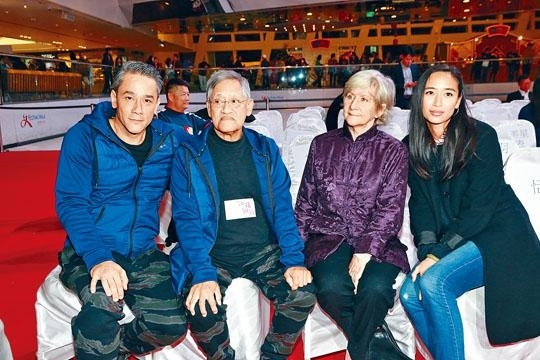 An ailing Ng Yiu Hon two nights ago attended the premiere. He revealed that due to chronic kidney disease he had an operation to "wash his belly" (peritoneal dialysis), adding a tube to the kidney to help with toxin cleansing. Now he was not used to the tube moving around in his gut. Ng Yiu Hon revealed that two days ago he just removed the stitches and clean the wound. After two weeks his dialysis will begin, four times a day and a hour each time. Currently both his kidneys were only left with 1/10 of their ability to function. He helplessly said, "At my age I can't accept kidney transplant. Dialysis is the safest and easiest way." However he insisted on returning to work after several weeks of rest, but each day he could work only 6 hours at most. Mainly he had to have dialysis on schedule and he did not want work to affect his health. 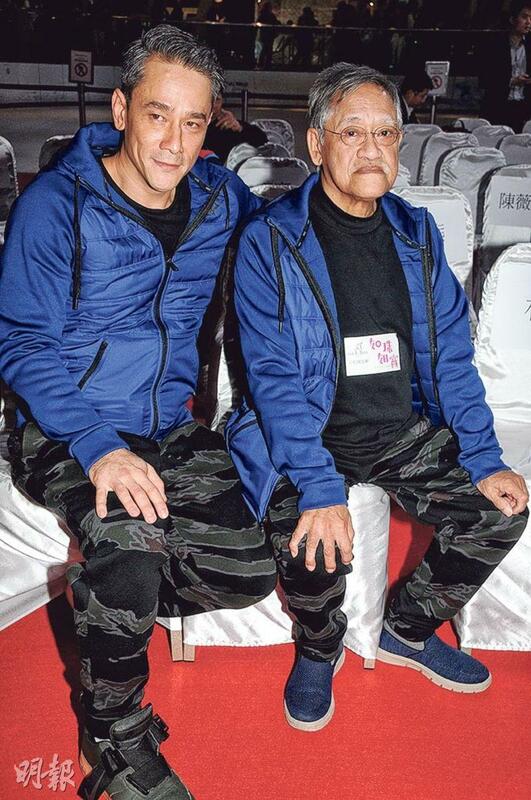 His son Ng Ka Lung said that the entire family is worried about Papa's health and promised that he would properly take care of him. If Papa would want to work, he joked that everyone would have to make Papa more first.